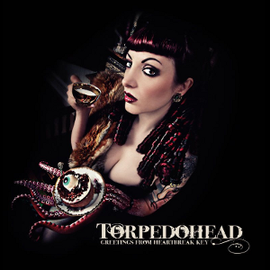 New Video - TORPEDOHEAD "Red City Lights"
TORPEDOHEAD posted a video for the new single "Red City Lights" taken from the latest album "Greetings From Heartbreak Key". The harmonica-flavored "Red City Lights" is a stripped down country-folk acoustic tune that spotlights a different side of Torpedohead. The track was recorded live at home in the kitchen with no overdubs. The Video is directed by Christoph Wick and shot in a barn in the backwoods of the infamous Heartbreak Key with Christoph Wick's direction. The info of the album can be seen HERE on this site. All tracks are available for a digital download on online stores.